Eric’s love of beer began early at his grandmother’s tavern in Burlington, Iowa stealing sips of PBR from unaware patrons. His palette may not have developed much since then, but his love of beer has only grown. His clients are working hard to turn him into an aficionado and he is committed to the hard work ahead of him. Eric’s journey with BeerAttorney.com hasn’t been quite as long, but its been just as meaningful. 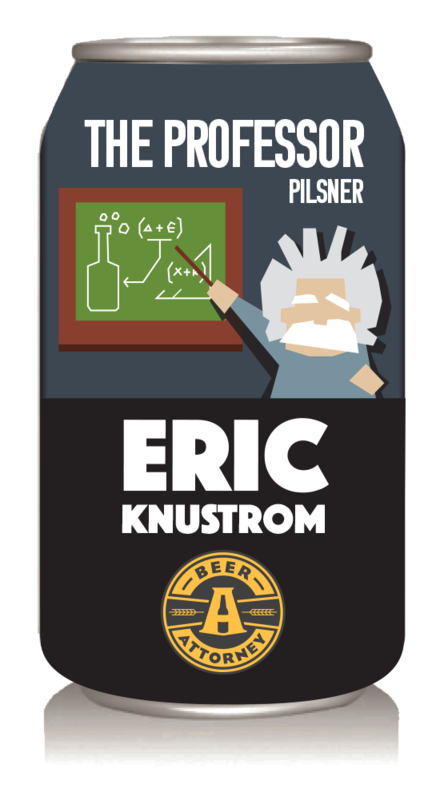 Eric joined BeerAttorney.com in July of 2017. Eric’s practice focuses on trademark and franchise law. Eric is a legal research expert with significant experience in legislative drafting and statutory interpretation. Eric has a passion for unraveling code and providing clients with ways to achieve their objectives within the bounds of the statutes. Eric attended law school at the University of Texas and is licensed to practice law in Texas. He obtained his Bachelor of Arts degree in Political Science and Speech Communications from Sam Houston State University. While he was at SHSU, he worked full time at the town’s largest law firm, served as student body president, was on the debate team and was on the cheerleading squad. Eric has always had a hard time narrowing down his interests. In addition to being a legal “Jack of all trades”, Eric is a proud father to his son, Barrett, and husband to his wife Lyne. He has a passion for playing golf poorly and working with no-kill animal shelters. Eric was a member of a national championship all-girl cheerleading squad in college. Eric went to college on a debate scholarship and if you don’t believe him he’ll argue about it. Eric holds the record for fastest foul out in intramural sports at the University of Texas.